Hi,After living in Germany with a balcony the size of a postage stamp, then going up in size a little after we moved to Nelson – we have now purchased a 10 acre property, and I have a whole new appreciation for how much of an effort WWOOF hosts have to put into their land! We love this new chapter in our lives but are seriously considering getting WWOOFers to help!The new website is being worked on and we are looking forward to launching it soon, hopefully ; ) !! The main improvements will be the new fabulous look, it will be compatible for use with mobile devices, images will not be visible to non-members and the information listed on the profile will be more detailed and easier to search, the messaging system is upgraded, including a rich-text option, images and thumbnails are larger and higher quality and the gallery will be more functional. Only members have access to the forum and the logins have been unified. If you are interested in looking a the complete spec, here is the link. We have tried to take on board all the comments and suggestions we have had, please keep them coming! This website has to work for you and WWOOFers so we will look at all your suggestions! We would like organise a get together and again will be guided by what works best for you. So if you could fill in this survey by the end of October, it’ll give us something to work with. The Mecca of ‘Organic and Sustainable living’! Society today is demanding a healthier and more environmentally responsible lifestyle in response to a real concern for our well-being and that of the world we live in. However, navigating your way around the growing range of products and services available can be quite a difficult task. The Go Green Expo has been created to provide consumers with a ‘one stop shop’ on what is available, where you can find them, why they are better and who are the genuine players. If you are interested in visiting of exhibiting, please follow this link for more information. Eco Pods are building The Pod, an eco-friendly sleepout in NZ, under license from the UK. Apparently there have been some enquiries from hosts who have WWOOFers stay regularly. Eco Pods said they may be able to offer a discount if they are getting enough enquiries, so make sure you mention this! 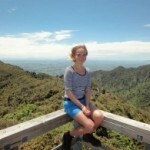 Yana is a PhD candidate at the University of Waikato in Hamilton. She has a background in higher education, business management and tourism. She is interested in sustainable life principles, renewable energy and organic farming. She came to New Zealand in October 2012 to start her PhD under the supervision of Professor Alison McIntosh at the University of Waikato. The main area of her research is about the WWOOF phenomenon. She is also a WWOOFer, if you are interested in hosting her and assisting her with her project, this is her profile id 66938. We do realize that this is an extremely busy time for hosts, but a lot of research projects can be very useful in the future. So if you think you can assist her with her research whilst she is WWOOFing with you – please do get in touch with her!